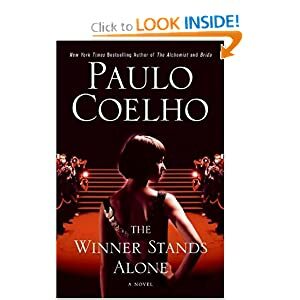 The Winner Stands Alone gave me a "backstage pass" to Cannes film festival which I only see and hear from T.V.. This book takes on the interesting lives of different people - models , directors , actors , producers, locals - who attended this event. Its a sneak peek on the lives of the superclass and trying to be superclass. The plot and the characters are conventional, the main characters are trapped in the web of reaching their dreams at all costs. Igor is a rich man whose desperate to get his wife back. The universal truth about break up stories is there are 3 sides: Igor's story, his ex wife's story and the truth. Gabriella is a struggling actress who is getting the break she has always dreamed of. Jasmine is on the brink of modeling success. Hamid, a fashion designer in the middle of glitz and glamour at Cannes. Criminal detective Savoy who wants to unveil the mystery. Funny as it seems, I thought about the lyrics of Miley Cyrus' song The Climb, hey its right on the spot!